Most people who are injured on the job and report the injury have suffered a more severe injury. 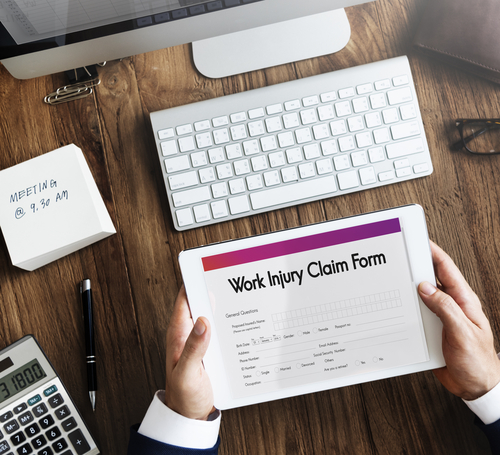 However, you should document ALL your injuries when filing your workers compensation claim. When you consult with your lawyer, having a list of each time you suffered a work injury is the best way to ensure you receive coverage. That way there is an understanding of the workplace conditions. Even if you were not seriously injured on the job (i.e. broken arm), small bumps and bruises may still hurt you later on. It may take days before your feel hurt or pain. Your injury could worsen and you may need to see a doctor. These are all details that matter in the grand scheme of a claim and can impact the decision in a work injury claim, especially if a compensation claim is denied. Having all your details in order will ensure a greater likelihood that you are compensated for the work injury. Cases of personal work injury often do not immediately go to trial. While you wait to go to trial, you may forget how hurt you felt on certain days. Documenting your daily aches and pains is a great way to collect evidence from when you were injured on the job. Your documentation will show the court how your injuries have negatively affected your everyday life. Documentation is important if you were injured on the job. Read more on what you need to document pertaining to your work injury. Describe in detail how you got injured. If you hurt your head for example, write about how you exactly hurt your head. This will give important insight into the safety conditions present at your work. Describe how you have been feeling since the injury. These notes should be as specific as possible. This way a picture is painted as to how this injury has effected your day-to-day living. Document if you have gone to therapy or took medication for a specific work injury. This gives context to how the injury has put a strain on your life, as you have devoted time to recuperate to an injury that you suffered at work. Keep track of any visits to your doctor so you have medical proof for yourself and your workers compensation attorney to use at your trial. Doctor's notes are great, because they are an authority om injuries. Every little piece of detail allows for your case to have some much needed nuance and in turn improves your odds of receiving the workers compensation benefits you deserve. So much of what makes a case can be found in the details of the victim's notes and recollection of the events. Not having great notes may not be the end of the world, but it is definitely better to be prepared than not. So if you have been injured on the job, remember that it is imperative to take useful notes! Having records of each time you were injured on the job will increase the value of your case as time goes on. These records can paint a picture for the case you have and help ensure you receive what you are owed. Also, keeping tabs on your wage and payment history can help show how your accident negatively impacted your financial and emotional well-being. Any and all details matter in the grand scheme of it all, as they give a specificity to your exact case. With our representation, we will help you use these documents to win your prospective case. Any one of them will provide you with a lawyer who will help you get started with your compensation claim. Call today for a free consultation to discuss the parameters of your case.